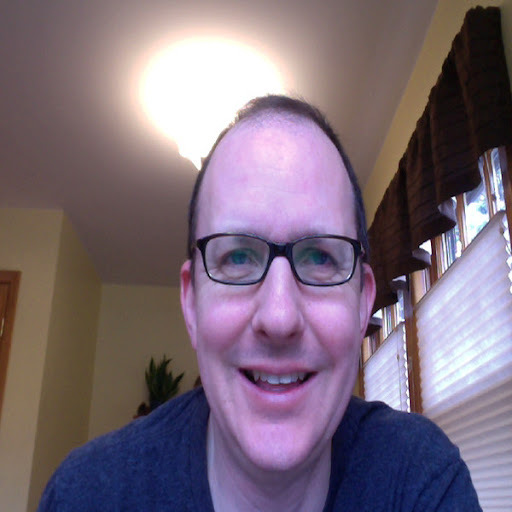 Chicago Tribune columnist Eric Zorn has come out in defense of his "hilarious" position that the phone call Tribune reporter John Chase made to the Blagojevich camp on December 4, 2008 did not serve as a warning. Zorn's reasoning: Blagojevich would have read that he was being recorded by the feds in a Tribune article the very next morning. "Do you understand that Robert and Rod canceled a meeting with Jesse Jackson Jr.'s money man, Raghuveer Nayak, due to Chase's phone call?" "And do you understand they would've canceled that meeting anyway because of what was in the paper that morning?" So let me get this straight, Eric. Your contention is that John Chase's late night phone call did not warn Blago that the feds were recording him - but that the article the Tribune published the following morning did. Ok, Eric, have it your way. However, now that you have reluctantly conceded that the Chicago Tribune did in fact warn Robert and Rod Blagojevich, perhaps you can explain why former U.S. Attorney Patrick Fitzgerald was OK with the Trib's decision. Robert Blagojevich recently acknowledged that Chicago Tribune reporter John Chase warned his brother, Rod Blagojevich, that the feds were recording him. "Chase wasn't warning Blago he was being recorded, he was telling him a story was running the next day about him being recorded." Wow, Eric. Are you joking? Here's what Robert Blagojevich called Zorn's assertion that Chase did not warn Rod: "Hilarious!" Keep in mind that Robert canceled his planned meeting the following morning with Jesse Jackson, Jr.'s money man, Raghuveer Nayak, as a result of Chase's late night phone call. A meeting whose sole purpose was to hammer out the terms of Jackson's purchase of the U.S Senate seat vacated by Barack Obama! Remember Robert was one of the biggest benefactors of Chase's infamous phone call to the Blago camp on December 4, 2008. So if he considers it a warning, who is Eric Zorn - or anyone else to say it was not? U.S. Attorney Patrick Fitzgerald named as source of leak. 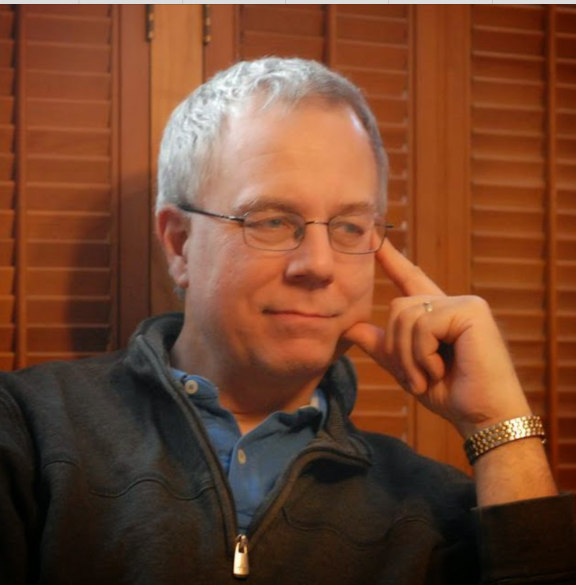 Chicago Tribune reporter John Chase went on record saying that the reason he made the late night phone call warning Rod Blagojevich that federal agents were recording him was because he "did not want to get scooped on the story". Chase's ridiculous statement made it very clear that he was not expecting to be asked any common sense follow-up questions. Keep in mind that the Tribune had been cooperating for 2 months with U.S Attorney Patrick Fitzgerald's office and had agreed not to run a story about the wiretap on Blagojevich. But when Chase was asked what happened on Dec. 4, 2008 for the Tribune to abruptly change from cooperating with the feds to exposing their wiretap, he was at a loss to give a coherent answer. Chase was then asked if he or anyone else at the Tribune called Patrick Fitzgerald or anyone else at the U.S. Attorney's Office to let them know that the Tribune was going to expose their wiretap that night? He was stumped, and refused to answer this simple yes or no question. Here is why Chase could not answer that particular question. If Chase had called Patrick Fitzgerald and informed him that the Tribune was now going to expose the feds' wiretap on Blago, wouldn't Fitz try to convince the Trib to wait just one more day? After all, Blagojevich's brother, Robert, was scheduled to meet with Raghuveer Nayak, Jesse Jackson Jr's money man, to discuss the terms of Jackson's purchase of Barack Obama's U.S Senate seat the very next day. 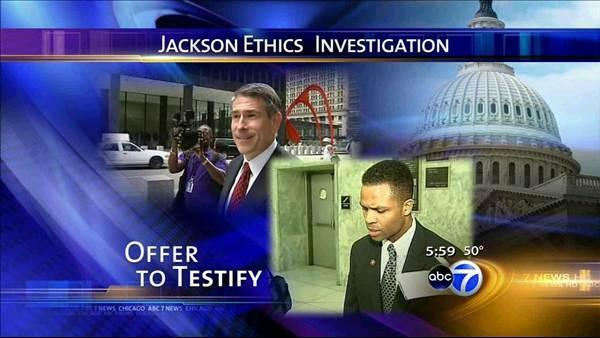 Blagojevich and Jackson would both have been caught red-handed if Chase had not made that call warning Blago. On the other hand, if Chase had not called the prosecutors office Fitzgerald would have been justifiably furious at the Tribune for derailing the biggest case of his career. Instead, Fitzgerald thanked the Tribune for its cooperation, and later gave Chase and Jeff Coen access to the sealed wiretap tapes and transcripts even though the two Trib reporters blew his wiretap out of the water. All indications are that Fitzgerald was quite OK with Chase warning Blago that night. But obviously Chase can't tell us that. Even more telling: Chase did not deny that he knew Robert Blagojevich and Nayak were going to meet the next day before he made that late night phone call. It is becoming increasingly clear that Chase is having a difficult time keeping track of his lies. 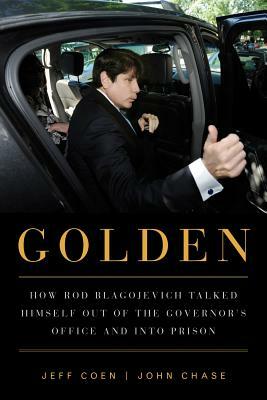 In his book, "Golden", he contradicts himself by saying that he was chosen by Tribune editors to make the phone call to Blago. So which is it, John? (A) make the call to inform Blago that the feds' were recording him because you wanted to be remembered as the reporter who blew Fitzgerald's case? (B) make the call because your editors who had been cooperating with Fitzgerald told you to? It's the simple questions that often prove to be the most difficult for liars to answer. When Chicago Sun Times reporter Natasha Korecki was asked why she was not asking these questions, she replied: "No reporter wants to make another reporter look bad." Even when it means not reporting the truth. Rod Blagojevich continues to insult the people of Illinois. He obviously thinks we are stupid. That is the only way to explain Blago's ridiculous behavior when it comes to the subject of federal wiretap recordings in his case. Rod Blagojevich's attorney's recently filed a motion objecting to prosecutors' request to have the tapes continue to remain under seal. No kidding, Blago apparently thinks that the people of Illinois will believe the fairytale that he actually wants the tapes and transcript to be made public. Rod, let me try to put this delicately for you. In a pigs eye! We already know that there is not a snowball's chance in hell that you want those tapes in the public domain. Because if you did, your lawyers would be filing motions to drag Chicago Tribune reporters John Chase and Jeff Coen into court to explain who gave them copies of tapes and transcripts that were under court seal. And Rod, you and your attorneys sure as hell would not have just sat there silently as Chase and Coen told your potential jury pool that the contents of the "sealed tapes and transcripts" prove your guilt rather than your innocence. Which is exactly what they did while touring Illinois promoting their book, Golden. In addition, Blagojevich's attorney, Sheldon Sorosky, has admitted that there is nothing legally stopping the former governor from revealing to the public the full details of conversations that were captured on tape. But so far Blago has chosen not to do so. However, we know for a fact that he has been using the tapes to blackmail his way out of prison. We also know that Blago, the prosecutors, and an untold number of other miscreants want the tapes to remain sealed forever. So Rod, contrary to what you think, we are not that stupid. Either drag Chase and Coen into court and start telling us what is on those tapes, or shut the hell up about them! So, while the MSM put their stenographers on Blago's appeal, CNS News, who employs real Journalists, came away with an important story everyone else in the media is missing. Blagojevich’s lawyers also claimed that Zagel “misled” the jury regarding the legal standards needed to prove fraud, extortion and bribery by “excluding evidence of the defendant’s good faith” and “misstating" his defense in Zagel’s instructions to jurors. Five days prior to Blagojevich’s arrest early on Dec. 9, 2008, Chicago Tribune reporter John Chase called his press aide and informed him that the governor was being wiretapped by the FBI. 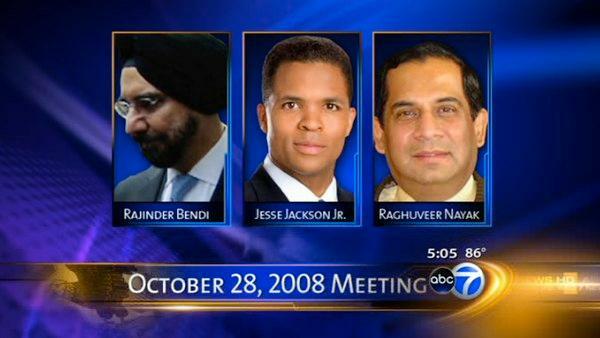 Blagojevich instructed his brother, Robert, to call off a meeting he had scheduled with Jackson supporter Raghu Nayak. Prosecutors incorrectly characterized the cancelled meeting and Nayak’s “vague offer” to raise $1.5 million for Blagojevich if he appointed Jackson to the Senate as “soliciting a bribe,” Blagojevich’s lawyers contended. However, the brief made no mention of the fact that Chase and fellow Tribune reporter Jeff Coen were given exclusive access to 1,800 pages of court-sealed federal wiretap transcripts that Blagojevich was not allowed to use for his defense. Blagojevich’s defense team never called Chase to testify about how he and Coen got access to the tapes, which they quoted extensively in their book, “Golden: How Rod Blagojevich Talked Himself Out of the Governor’s Office and into Prison,” which was published last fall. While on their book tour, the authors insisted there was “no legal ban” on publishing excerpts from the same tapes that Zagel would not allow Blagojevich to play in court. Neither reporter responded to an inquiry by CNSNews.com about whether they would make the tapes publicly available. Bravo Barbara Hollingsworth and CNS News for getting it right. Jesse Jackson Jr. was not the only one saved when John Chase called the Blagojevich camp and warned them that the feds were listening. Remember, it was Robert Blagojevich that would have been caught on surveillance tapes, meeting with Jackson's money man, Raguveer Nayak. Chase not only saved Jesse Jackson, Jr. from prison, he also saved Robert Blagojevich. Hold that thought. We'll come back to it later. 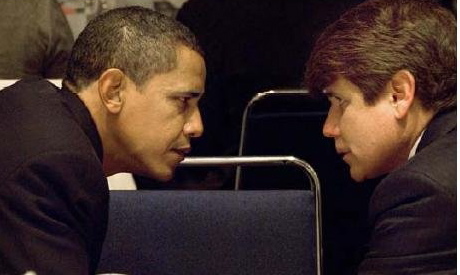 November 21, 2012: Within hours of Jesse Jr's resignation from Congress, Robert Blagojevich expressed his disappointment. He felt he likely would never be able to clear his own name. Why is that? you ask. Well, R. Blagojevich assumed there'd be no ethics committee investigation of Jesse Jackson Jr's attempt to buy the U.S. Senate seat his brother, then Governor Rod Blagojevich, was selling. Robert was right. The DC pols didn't want to investigate that attempted transaction. However, there's nothing to stop Robert Blagojevich from making his case to the public. That is, if Robert truly believes his name could be cleared. Robert Blagojevich has all the FBI wiretap tapes that brother Rod and his attorneys have. Robert has listened to all the government's wiretaps, and, as of today, he hasn't expressed any disagreement with Chase and Coen's assertion that the contents of the tapes show his brother is guilty. Furthermore, Robert, Rod, and their respective attorneys have remained silent, while Chicago Tribune reporters Chase and Coen assert that the Blagojevich defense was built on a house of lies. Remember, the entire Blagojevich entourage was screaming that "the tapes would set them free," if only everyone could hear them. In their book "Golden," Chase and Coen claim they listened to all the wiretap tapes, and that there is nothing there that suggest Rod or Robert are innocent of attempting to sell a U.S. Senate seat. The Blagojevich brothers and their attorney's repeatedly professed that proof of their innocence is captured on the government's tapes. And that, if the public were allowed to hear the tapes, the brothers would be found innocent. (1) John Chase and Jeff Coen claim that the Blago's and their attorney's were lying. (2) The Blago brothers and their attorneys are not disputing Chase and Coen's claims. The Blago's and their attorney's lied about what's on the tapes. (1) What was captured on roughly 400 hours of recorded Blago wiretap conversations? (2) Why can't we hear them? (3) Why are the Blagojevich's and the U.S. Attorney's Office hiding behind a phony protective order? Chicago Tribune reporters Jeff Coen and John Chase wrote a 486-pages book that packs tedious and mundane details about former Illinois Governor Rod Blagojevich’s life, from birth to prison, around one key chapter that documents the role of former U.S. Attorney Patrick Fitzgerald in leaking information about his investigation of the ex-governor known nationwide as “Blago”. Those persons “who provided case material that was outside of the public record” remain unidentified throughout the book. But it soon becomes clear where they worked. In an article written by Ernie Souchak posted on this website last September 14, we noted how the judge’s protective order, covering the transcripts of Blago’s phone conversations, stipulated that nothing prohibited Blago and his lawyers from telling his version of those recorded conversations. Blago and his attorneys were, though, ordered not to disseminate the transcripts that the feds gave them. Only the feds had permission to do that. So, apparently, Coen/Chase secured those transcripts and recordings mentioned in the “Authors’ Note” from the feds. Here’s a question: Why was the information given to them? “So, what are the facts and circumstances that we know that collectively tend to prove, or sustain by their consistency…the hypothesis that Patrick Fitzgerald is a politically-driven, not jurisprudence-driven, prosecutor whose image as an intrepid, unbiased crime fighter is a media-created fabrication? In fact, (1) Blago’s crime spree had, with Fitzgerald’s knowledge, been going on for several years. (2) Chase has not been called to account for tipping off Blago that his conversations were being recorded by the feds. (3) Eric Holder’s Department of Selective Justice has taken no steps – like that taken by Fitzgerald when he jailed Judith Miller of the New York Times in the Valerie Plame Case – to force Chase to reveal the source of the leak. And, (4) Fitz’s demeanor in discussing the leak in a press conference can be accurately described as disinterested. The urgency to arrest Blago was manufactured out of whole cloth. The leak had to originate out of the DoJ. And, the closest outlet for the DoJ to the Chicago Tribune is Fitzgerald’s office. You connect the dots. In retrospect, we know now that Richard Armitage was the confessed leaker in the Valerie Plame Case. We also know that Fitzgerald knew of Armitage’s confession before undertaking a long and costly investigation that convicted a key staff member of Vice President Cheney of a crime not connected to the Plame leak. And, that this media event, upon which the foundation of the Untouchable myth was built by the main stream media, was politically-driven. The Plame “investigation” boiled down to a surrogate WWF-like wrestling match between two Big Beltway Boys: Armitage representing Powell – Libby for Cheney. With Fitzgerald as the biased referee. And, it will be so chronicled by unbiased historians in the future. The narrative here is significant, not just for what it reveals, but more for what it conceals. The authors do not reveal the source for the information that Chase telephonically conveyed to Blago’s Spokesman, Lucio Guerrero, at approximately 10:30 p.m., Friday, December 4, 2008, namely, that the feds were listening in on Blago’s phone conversations. Consequently, this question remains unanswered: Who leaked the information that Blago’s phone conversations were being wiretapped by the feds to the Tribune and Chase? Plus, why was that revelation leaked to the paper? Then, why did Fitzgerald show no interest in tracking down the leaker? We’re no closer today to answers to those questions after the 486 pages of whitewash. How did the Coen/Chase know this information unless someone in the U.S. Attorney’s office gave them a blow-by-blow description of the investigation? Of course that’s what happened. The authors were scripted by the feds. Page 267: “At the FBI’s listening room, there continued to be a mixture of thrilled disbelief and newfound resolve at what was being caught on the recordings. Agents believed they were capturing the sitting governor in incriminating conversations, and they played the calls for supervisors. At one point, the FBI’s national director, Robert Mueller, was in town for a Chicago event. Having heard about the success of the Blagojevich operation, Mueller wanted to hear some of the recordings for himself. He stopped at the FBI’s Chicago headquarters on Roosevelt Road on the West Side near Ogden Avenue and took a seat in Rob Grant’s office. Agents had put together a disc of some of their favorite snippets for Mueller to hear. Who was the guy dropping the F-Bombs? Mueller asked. Well, that was the governor of Illinois, agents explained. This sounds like the testimony of an eyewitness to the event, given all the illustrative details. That eyewitness would be an employee of the FBI, or, someone from Fitzgerald’s office involved in the USAO’s investigation of Blago. This information clearly didn’t come from an audio tape or transcript of one of Blago’s intercepted calls, or from the building’s janitor. It comes from a source intimately involved in the investigation. Page 281: This portion of Chapter 14 explains the nature of the alleged urgency that caused the USAO to arrest Blago to, as Fitzgerald later claimed, stop an on-going crime spree. “Fitzgerald had grown concerned that they had a sitting governor who had yet to make an appointment after working for weeks to see what he could get for himself in a deal for the Senate seat. They could let things go a little further, but it was starting to get risky that Blagojevichwould actually make a choice. Schar [Reid Schar, an Assistant U.S. Attorney, NDIL] said it would be derelict of those in the room to allow Blagojevich to make a decision. Everyone in the meeting believed the process had been corrupted, no matter how Blagojevich finally acted. To do something before he made a pick and out the investigation would at least make that corruption known, and the political could react to any pick by the governor. What does “at least make that corruption known” mean? The USAO had been investigating Blago for years, and had compiled a substantial amount of evidence of corruption. At least, the goal should have been to arrest Blago when he accepted a bribe, and, also, arrest whoever paidthe bribe. The real “risk” in letting Blago close a deal with the briber(s) negotiating with him on behalf of Jesse Jackson, Jr., was that they, too, would be implicated in a crime along with Blago. Whatever happened to the notion of intent to commit a crime? Blago went to jail – the briber(s) skated. That was the goal. So, according to Coen/Chase, the feds believed that Blago was about to do a deal that would yield him $1.5 million for appointing Jesse Jackson, Jr. as a U.S. Senator from Illinois. That means that Blago was arrested to stop the commission of a specific crime, rather than to stop a crime spree. If the USAO would have waited, both the bribee and the briber would have been caught and prosecuted. But the trap was sprung prematurely – for a reason. Robert Blagojevich had a meeting scheduled with Jackson's money man Raghuveer Nayak on Friday, December 5. After learning from Chase, on the evening of December 4, that his conversations were being intercepted by the feds, Blago instructed his brother Robert to cancel that meeting. If it looks like a duck; waddles like a duck; and quacks like a duck – face it, it’s a duck. Remember that Jackson was the ’08 Co-chair of Obama’s Presidential Campaign Committee. The book entitled Golden, written by two Chicago Tribune reporters who were granted special access to information coming from inside the investigation, is a 486-page apologia in defense of an improbable explanation behind the timing of the arrest of former Illinois Governor Rod Blagojevich. Don’t forget that Roland Burris, the man Blago appointed to the U.S. Senate, was the 60th vote in favor of ObamaCare. Had Blago, and those bribing him, both been arrested after the money was exchanged, would there have even been a second Senator from Illinois in the U.S. Senate when the ObamaCare vote was taken?